July’s playlist is now up on Spotify! We’ve also shared it via sharemyplaylists.com. 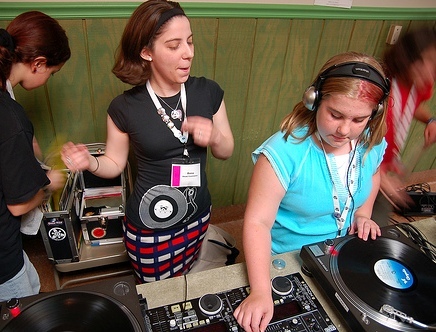 Photo of four girls DJ’ing by brookesb taken from the Girls Rock Philly collection and shared under a Creative Commons Licence. i’d love to hear this played out. any chance of getting some Billie Holiday in there next time?